As reference, here is the video overview of the cap concept. 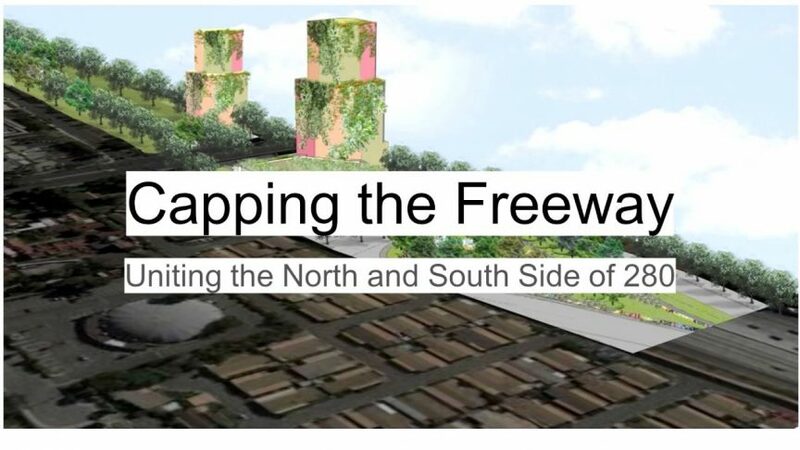 The idea of Santana Row as the second largest “downtown” in Santa Clara County is discussed, as is the idea of capping the freeway to create new land using air rights, but to reunite the north and south sides of 280. The question is raised at to whether VTA can be effective in a dual role as a congestion agency and transit provider. This leads to the discussion of the 280-Winchester off-ramp, which could be integrated into a cap. The question is also raised as to whether anyone has done a study on connecting San Tomas to 280 and how that might help traffic at Saratoga and Winchester.